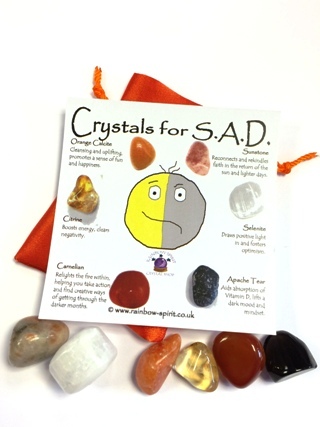 A set of six tumbled crystals, selected for their healing properties to support someone during the winter months when Seasonal Affected Disorder brings on low energy, heavy mood and depression. 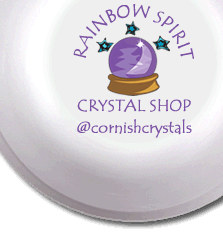 The set includes the six 10-20mm stones (5 tumbled stones and a Selenite heart) and a pouch, and comes as a set with an 8x8cm poster print with information to explain each stone. This is one of our 'stock' items, so the photograph is an example of the set we will make for you.